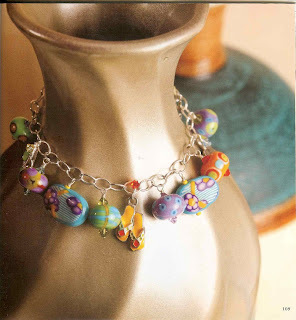 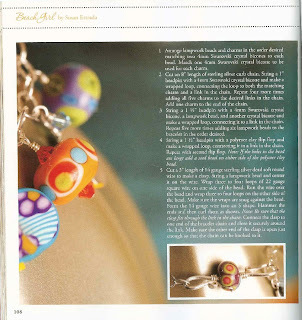 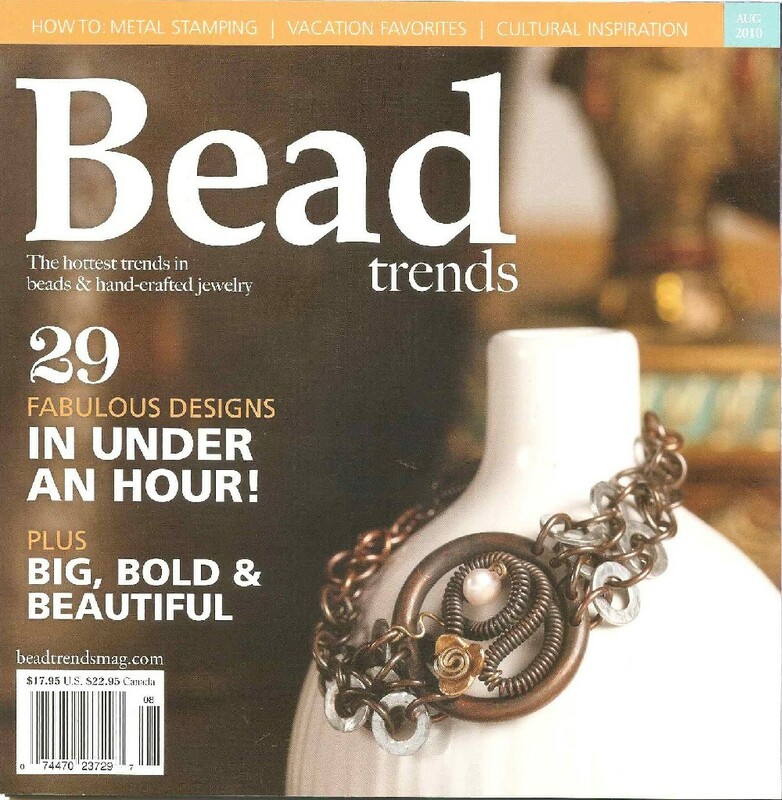 My California Girl bracelet is now published in the August edition of the Bead Trends magazine. This sterling silver charm bracelet is filled with colorful lampwork beads, flip flops and sunglasses charms. 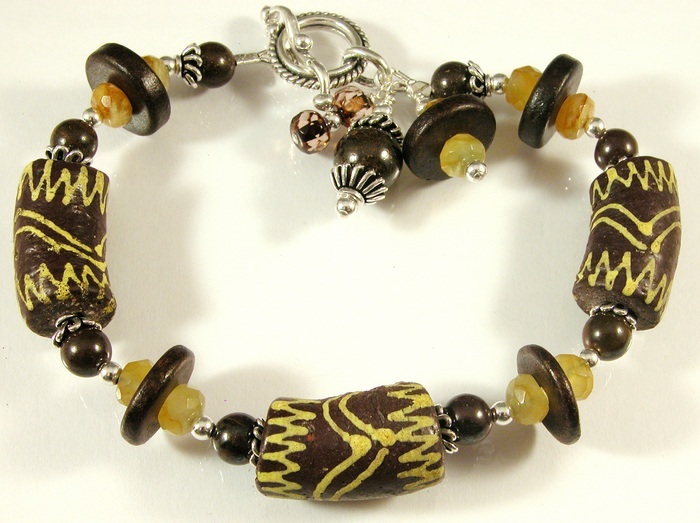 This bracelet is for sale in my cserpentDesigns Etsy shop. 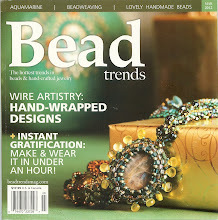 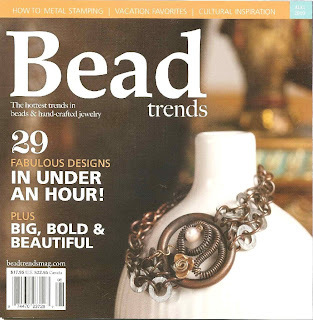 My brown Ghana tube bead bracelet with yellow opals was one of the designs featured in this beadingtimes.com article on using tube beads.